Callum Sinclair goes to ground but was he acting too much? Sydney's tight defence has now not conceded 100 points in a match in over 30 consecutive days. Heath Grundy and Nick Smith lead the way down back tonight for the Swans combining for nine intercept marks. Ultimately the difference in the match tonight comes down to scores from stoppages. Sydney lead this scoring source by 29 points with the current match margin being 30 points. This comes despite Carlton winning four more clearances in the match. Liam Jones has equaled his most ever intercept marks tonight with seven, matching the amount he grabbed in round 15 v Adelaide last season. The most by an individual player this year is eight by Jeremy McGovern coming in round four. Carlton's lowest tackle count for the season came back in round 1 where they laid 49 tackles in their 26 point loss to Richmond. Tonight they have laid 41 tackles, with just 13 of these coming in the secondhalf of the match. Carlton has kicked their first goal since the 27th minute mark of the second term, over 45 minutes of playing time ago. They have kicked a goal with 20 per cent of their inside 50s tonight, a higher percentage than Sydney's 18 per cent. Kade Simpson has recorded a combined six inside/rebound 50s tonight, taking his season tally to 85 (ranked second in the AFL). He is also leading the match in metres gained with 452. Oliver Florent has won two forwardhalf intercept possessions taking his season tally to 16, ranked second at the club. He has four score involvements and four inside 50s tonight. 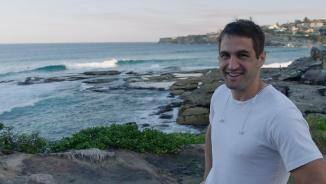 Sydney is the secondbest fourth quarter side in the competition. They have outscored their opposition by a total of 83 points in final terms this season whilst the Blues have been outscored by 70 points. The ugly trend of poor third quarters continue for the Blues, conceding five goals to the Swans whilst remaining goalless themselves. This was the fifth goalless quarter for the Blues this season and their third in as many weeks. The last 10 minutes has been all Sydney, with 80 per cent of the play being held in their attackinghalf, and 50 per cent being played inside their forward 50. They have the last 11 inside 50s, and have kicked the last four goals of the match. Carlton are controlling the stoppages with a lead of eight to two clearances this quarter, extending their match lead to 11. Cripps, Dow and Curnow are all leading the way with a combined 13 between the trio. After kicking just five goals from 28 inside 50s in the opening half, the Swans have increased their efficiency this quarter with three goals from six forward entries. They are kicking at a high 82 per cent kicking efficiency this quarter. The Blues have all the momentum currently with the last seven inside 50s of the match. This is the first time that they have had a stretch of more than three consecutive inside 50s, however they have only managed four behinds from these seven entries. Both sides have struggled this year straight after halftime. The third term is the only quarter that Sydney have been outscored this season in, with a scoring differential of -22 points. The Blues are -114 points, winning just three third quarters. Swans have kicked their first goal of the night from a defensive midfield chain. Sydney has generated an inside 50 from 33 per cent of their defensive midfield chains this year, ranked last. Tonight they have 10 inside 50s from 20 chains in this zone. The first goal of the second half goes to the Swans sourced from a forwardhalf stoppage. Sydney has kicked 3.1 (19) from forward-half stoppages tonight compared to just the solitary behind for the Blues from their respective forward-half. Carlton enter halftime enjoying a one point lead. This is just the second time since 2002 that Carlton has lead at half-time in a match played at the SCG and is just the second time this season they have lead at half-time. The Swans dominance in the territory battle this quarter has not resulted to a benefit on the scoreboard. They have enjoyed 60 per cent of the play being held in their attacking half, yet have allowed Carlton to kick one more goal this quarter. 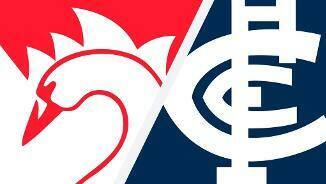 Sydney's defensive unit has only allowed two scoring shots for Carlton from within 40 metres out from goal. Conversely the Swans have had five scoring shots from this range, resulting in three goals. Sydney are aiming to run and carry the football as much as possible tonight. They are doubling Carlton in handball receives (6933), their highest first-half differential this year. The Blues kick consecutive goals from forwardhalf turnovers to retain the lead. Carlton are the second-lowest scoring side from forward-half turnovers this season averaging 20.5 points from this source per match. Carlton are kicking at a low 58 per cent efficiency tonight, on track for their worst result of the season. Only two of their players, Matthew Wright and Lachie Plowman, have hit a target with 100 per cent of their kicks. There has been three 50 metre penalties paid tonight, all resulting in goals for both sides. The Blues have conceded two tonight, but had only conceded five 50 metre penalties for the season coming into tonight, the lowest of any side. Over the past four weeks Sydney has scored from just 14 per cent of their intercepts, the secondlowest result. They have won 24 intercepts tonight and have kicked 2.4 (16) from this source at 25 per cent scores per intercept. Sydney dominated the territory battle in the opening term, leading the inside 50 count 18 to seven. This dominance compliments the time in forward half result, where the Swans benefited with just under a four minute advantage. The Swans are leading the disposals by 27. Carlton has lost the disposal count by 28 per game this season, ranked 16th. Both sides are sharing goals from centre clearances in the past five minutes. Sydney are the secondhighest scoring side from centre clearances this season with 20 goals, whilst the Blues have kicked 11 goals from this source (ranked 11th). Liam Jones has now grabbed four intercept marks, the second time this season he has grabbed four in a quarter. He joins Alex Rance in being the only two players to have achieved this feat in 2018. Sydney is dominating when the ball hits the ground. They lead hardball gets, contested possessions, and groundballs by five each respectively. In the last 10 minutes, the Blues have aimed to slow the tempo of the play and control possession. They lead marks 14 to two in this timeframe, and have a massive kick-to-handball ratio of 2.56 compared to 0.64 by the Swans. Carlton's forward efficiency has been a highlight to start this match after a poor return last week. They have kicked a score from all three forward 50 entries, with two of these scores being goals. They are ranked 14th for goals per inside 50 this year. 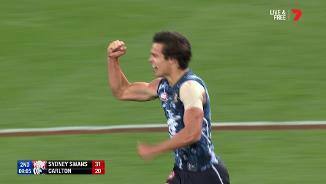 The first goal for Carlton comes on the back of a defensive intercept by Liam Jones. Jones has now won 61 defensivehalf intercepts this season, ranked number one at the club. Carlton struggled with their efficiency inside 50 last week v Geelong, scoring a goal with just under 10 per cent of their forward 50 entriesthe worst of any side in round 10. 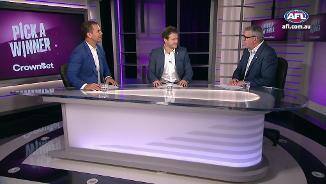 Over the last four weeks, Sydney has lost just 23 per cent of their defensive oneon-one contests - ranked number one in the league. They have conceded just 60 points per game in this time-frame, the second best result of any side. Welcome to SCG for the Sydney Swans v Carlton Round 11 clash. 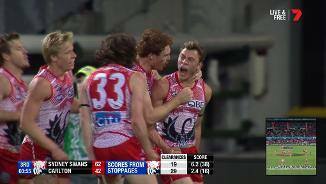 SYDNEY has overcome another sluggish performance at home to win a fourth straight game, with the Swans too good for a wasteful Carlton by 30 points at the SCG on Friday night. The Blues outpointed John Longmire's men around the footy and led at half-time, but blew plenty of opportunities in the third term, while giving up five unanswered goals. The visitors worked hard to win more clearances than the gun Sydney midfield and also shaded them in the contested possession count, but the home side's big names stood up in the 13.13 (91) to 9.7 (61) victory. Swans coach John Longmire was pleased with the way his side responded when the Blues challenged them in the third term. "The first part of that quarter we were getting beaten around the ball, then we turned that around in the last 10 minutes," he said. "The players noticed it at three-quarter time and spoke about it, that last 10 was important for us with our intensity." Ruckman Callum Sinclair had an intriguing battle with Matthew Kruezer but probably just got the better of his opposite number, while midfielders Luke Parker, Isaac Heeney and George Hewett were also good, with Heeney winning the Goodes O’Loughlin Trophy for best on ground. 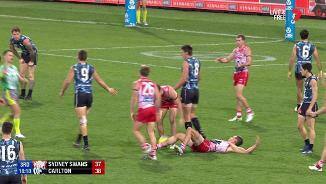 Hewett had the job on Blues star Patrick Cripps for most of the night and was able to limit his influence, with the West Australian seemingly hampered by the corked right thigh he carried into the match. Lance Franklin had his hands full with Sam Rowe, plus a host of other Carlton defenders dropping in front of him for most of the game, but he finished with three goals. Veteran Kade Simpson and Sam Kerridge won plenty of the ball for the Blues, with Charlie Curnow and Jack Silvagni, who both looked dangerous at times, the best of the forwards with two goals apiece. After being thumped by 81 points the last time they visited the SCG in round 23 last year, Carlton started well thanks to goals from Patrick Kerr and Curnow, and while the Swans steadied and at times threatened to break the game open, they trailed by a single point at the main break. 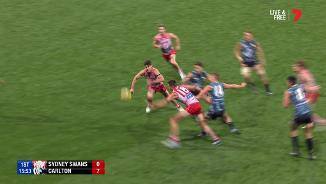 Goals to Sinclair and Franklin wrestled back the lead for Sydney early in the third quarter, and that’s when the Blues' wayward goalkicking let them down. 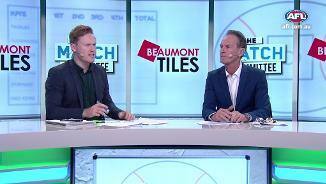 Matthew Wright, Cripps, Kerridge and Kerr all missed gettable shots inside 50 to wreck any chance of an upset, and they were left to lament their misses when Parker, Will Hayward and Sinclair booted three in a row to take the margin out to 27 points. 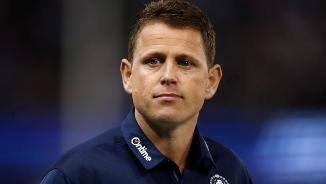 Carlton coach Brendon Bolton was in a positive mood after the match despite the loss. "I think we're on the right track, I've said that all along," he said. "We were right in the game, particularly even into the third quarter. "Some set shots really hurt us when the game was right on and at that point of the game we had enough inside 50s. "There's a little bit to learn from that but we were in the fight for most of the game." The teams kicked three goals apiece in an uninspiring last term and the Blues will limp into the bye with just one win for the season so far. 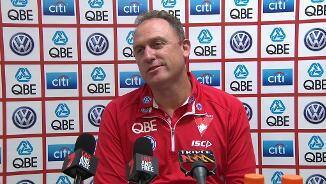 Sydney: The Swans looked to have come through the match without any worries. 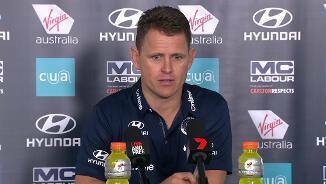 Carlton: Cripps had his thigh heavily strapped and he'll enjoy the week off. The Swans get another good chance to continue their momentum when they take on St Kilda at Etihad Stadium on Saturday night, while the struggling Blues have the bye.